In simple terms alive hands refers to the idea and principle that “both” “hands” are “constantly” “moving” and each of the hands are performing a task. I have found that a lot of folks with some boxing training are able to move both hands at the same time but the distinguishing characteristic of alive hands is the principle that both hands are performing a self defense function as opposed to one of the hands simply being a retraction of a fist that has been thrown. 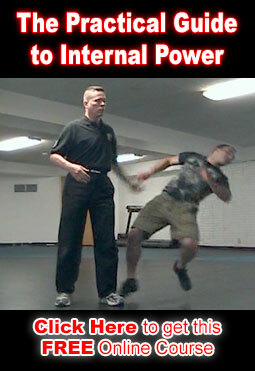 A basic example of an alive hands technique is to have a training partner throw a punch. I slap block their punch with my retracting hand while at the same time throwing a finger whip to their chest with my other hand so that the block and the strike occur at the same time. The finger whip strike is in reality intended to be an eye or throat shot but of course you must exercise caution and safety in your training. My retracting hand is brought all the way to my body and bounces off of my body (chest or shoulder) and without stopping it turns into and is used to fire off a second whip hand shot. After getting used to the first technique then the second technique is performed. I retract my whip hand strike and use it to slap block my training partners second punch while my second whip hand strike is on the way to them. This slap block and whip hand strike can be performed and is practiced to be performed continuously without stopping the action until at least half a dozen or so whip hands and slap blocks have been thrown. 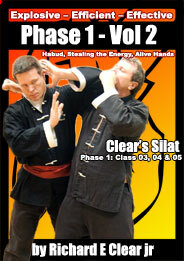 The slap block and whip hand combination can be practiced solo in the air and to someone observing it simply looks as if you are explosively smacking your hands on your own body and throwing whip hand strikes. Interestingly enough most people do not notice the whip hand strikes unless they are standing directly in front of you where they can see and feel that the whip hands would be dangerous to them. This is partially because everyone can hear and see the body slapping. In the art this distraction is intentional and in reality would help to distract and confuse an opponent / attacker as well.